Have extra pumpkin purée? 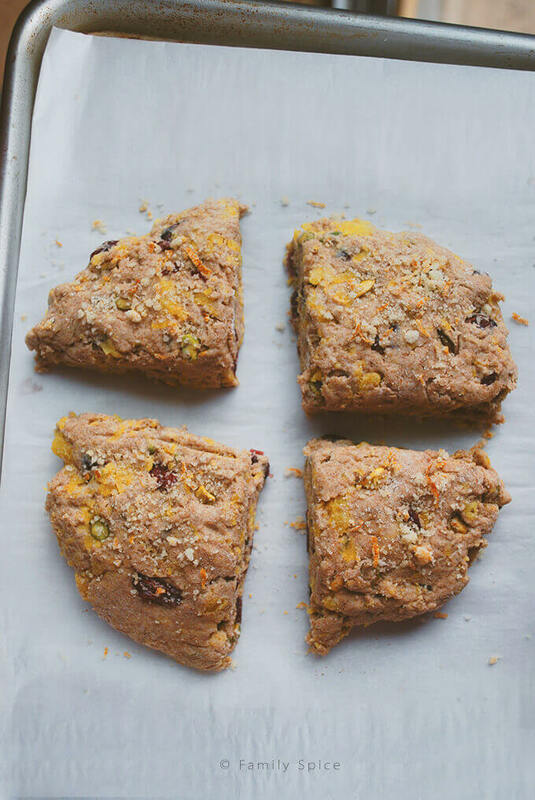 Enjoy a fall-inspired breakfast with these Whole Wheat Pumpkin Scones with Cranberries and Pistachios. The pumpkin train is still going on strong in my house! Between the many pumpkin dishes and fun Halloween goodies we are baking, my kids are really enjoying mommy’s fun creations out of the kitchen! I personally adore scones. Maybe it is because I love all things rustic. And after many scones turning into leaded weights, I was thrilled with how these whole wheat pumpkin scones turned out. I remember the first time I made scones. I honestly didn’t know what I was doing. 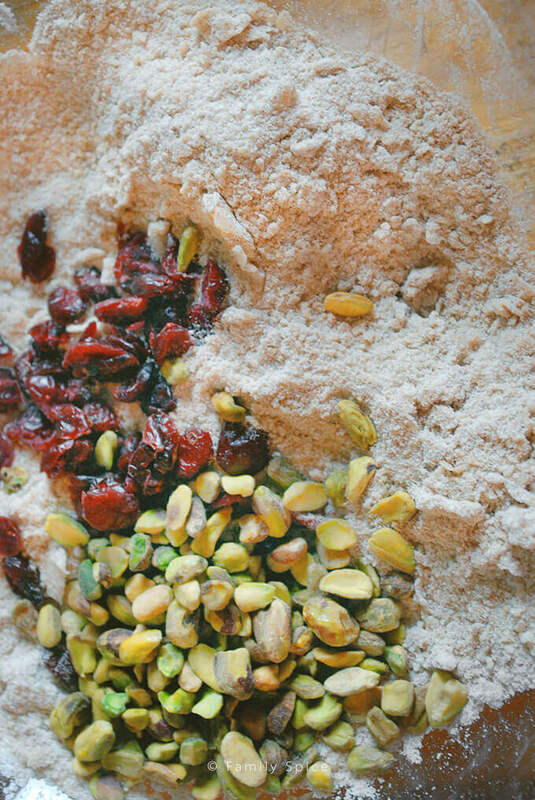 The temptation to over mix your dough is great. I mean, when you make pizza dough, you are told to beat the heck out of your dough, right? But like biscuits, scones don’t like to man-handled too much. Which makes these imperfect looking baked treats even more delicious in my book! Less work? WOOHOO! I used some of my own oven-roasted pumpkin, which I was too lazy to mash to a completely smooth consistency. So along with my bits of dried cranberries and pistachios, I also had bites of pumpkin, too. I loved how it all turned out. Although I am still missing my summer, especially my summer fruits, I’ve jumped head first into fall. With the smell of cinnamon and nutmeg mixed in with pumpkin, apples and pears, my house is all about the great fall flavors! 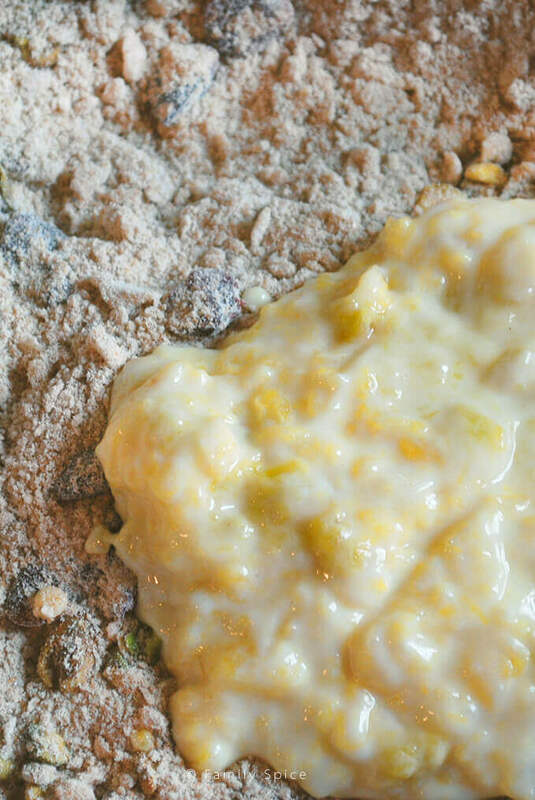 Squeeze butter into flour mixture until it resembles coarse crumbs. Pour yogurt mixture into flour mixture and mix with your hands until a rough dough is formed. Turn dough onto a lightly floured work surface and shape into a circle or rectangle, about 1-inch thick. Do not over mix the dough. Cut into small squares or wedges. 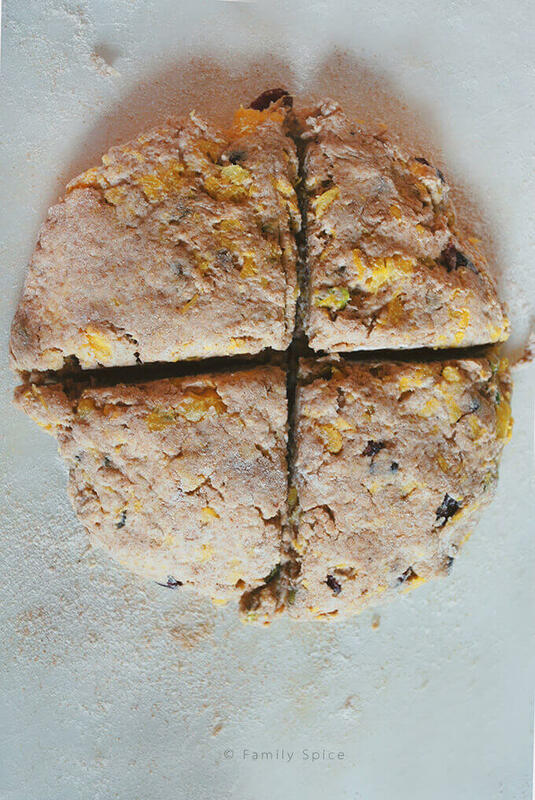 Place scones onto prepared baking sheet. Bake in the hot oven for 15-20 minutes, or until golden brown. Allow scones to cool on the baking sheet for five minutes. Serve warm or place on a cooling rack to completely cool. 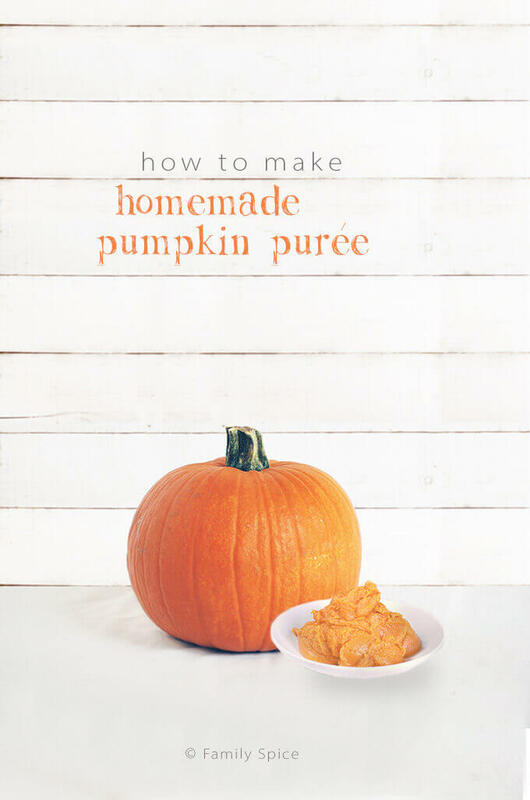 Serving Suggestions: You can substitute pumpkin purée with sweet potato. 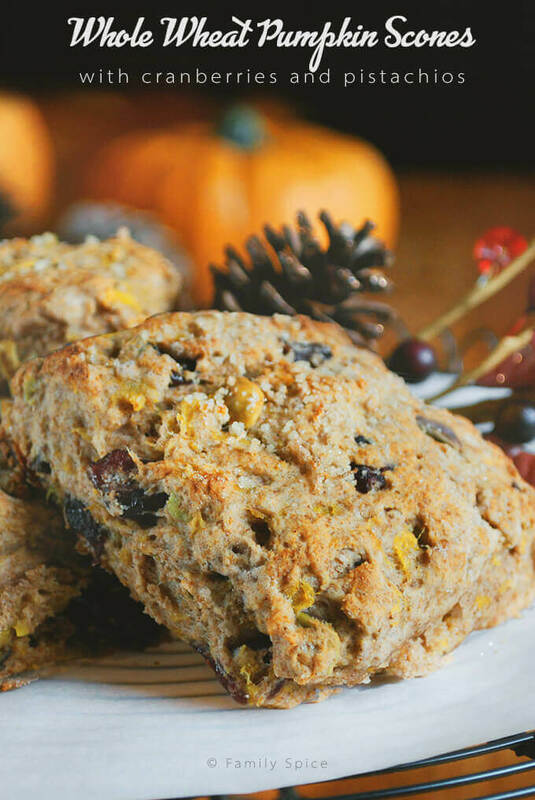 The scones pictured above was made with oven-roasted pumpkin that was a little lumpy, and produced small chunks of pumpkin within the scone. You can also substitute honey or maple syrup for the agave nectar. Pumpkin and more pumpkin at my house as well. Your scones look delectable, can't wait to try them! Scones are a very different shape in Australia, round and high. Your recipe looks so inspiring I love the whole wheat and the dried cranberries, it looks very 'healthy' also your photos are superb. Yours Audax in Sydney Australia. Beautiful and inspirational! Scones and pumpkin, who woulda thought? A stellar and supremely healthy combination. These for breakfast and afternoon tea, and pumpkin whoopie pies for dessert! These look fantastic! I've put them on my brunch menu for this weekend. Congrats on top 9! They look yummy. I can't wait to try them! Thanks for stopping by my blog :o) Those are some great looking pumpkin scones! They sound simply wonderful! 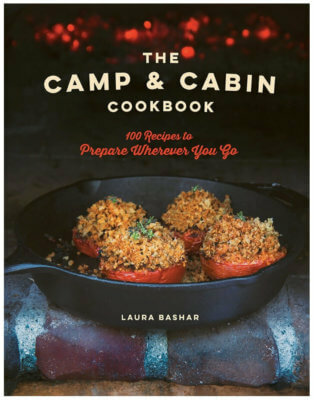 These look great – wholesome and delicious! Hey, you have a gorgeous blog too! The artichoke definitely intrigue me but, yeah, my eyes slid down to those whole wheat pumpkin scones. Yum. I'm bookmarking these for the fall.